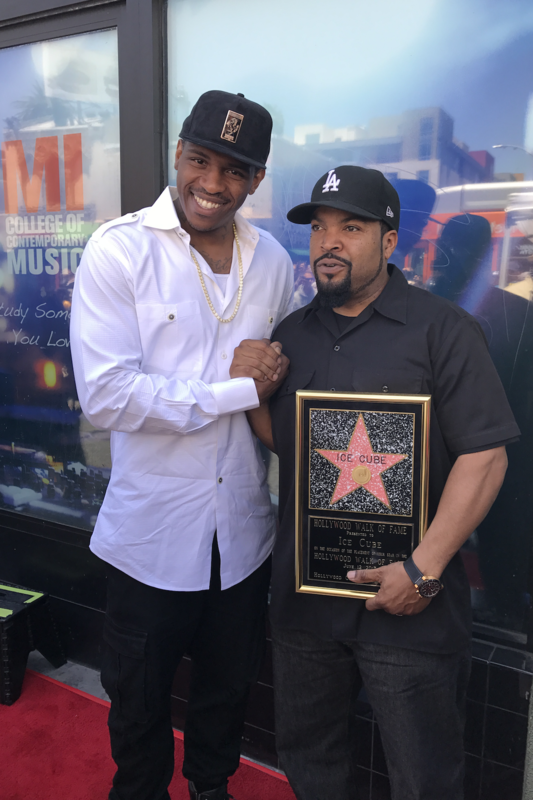 Recently MENAJI had the privilege of sitting down with NBA veteran Rashad McCants - the #1 draft pick in Ice Cube's BIG3 and former University of North Carolina Tarheel - as he exclusively revealed his favorite style shortcuts, easy grooming and much more. Guard Rashad McCants was selected by Trilogy (a team led by Kenyon Martin, Al Harrington and coach Rick Mahorn) with the No. 1 overall pick in the BIG3 draft. The BIG3 is a three-on-three league involving former NBA players. More than 70 players have signed up in hopes of playing for one of the eight teams in the league. Q: Having come from a very athletic family (younger sister is a former WNBA star Rashanda McCants, and two cousins one, a Major League Baseball player Cameron Maybin an other, the former Canadian Football League player Jon Avery) - how did that affect you growing up? Did you feel pressure to be an athlete? ANS: As a family, we never considered ourselves an athletic family. We just had a competitive spirit growing up, which drove my sister and me to strive at the highest levels of competition. Q: You have enjoyed a fascinating professional life. Can you tell us about your basketball career? ANS: I don't think I can narrow down my whole career in a few sentences but I can say it has been one of the more interesting roller coaster rides anyone could possibly imagine. And all in all, I'm grateful for all that I've encountered - the good, the bad, and the ugly. It has shaped me into the man I am today. Q: You have such diverse interests. How do you define your personal style? ANS: I define my personal style by the music and idols that I've chosen growing up. From Tupac Shakur to Will Smith to Kobe Bryant to Allen Iverson. The list goes on and on but mainly I'm stuck in the era that raised me. Gives me my own personal style of mixed personalities. Q: How does your skin care and grooming routine fit into your personal style? ANS: Over the years I have had a difficult time treating my skin properly. With pimples and razor bumps it's always been a mission to get clear skin that can match my clean style that I see for myself. Q: Given that athletes sweat and shower multiple times per day, have you had any specific grooming challenges? ANS: My main grooming challenge has always been razor bumps, which leave my skin scarred and irritated. Q: Which one of MENAJI products have you tried? Which are your favorites? ANS: I have tried the facial masque, and the face and body scrub which have shown to produce major improvements in my skin like getting rid of the razor bump problem I've always had. This was right on time. Q: Finally, we understand music has a big part in your life. How did you develop your love of music? ANS: Music is my first love! It was Tupac and Michael Jackson who sparked my love of music. Watching their greatness emerge and surpass all entertainment was a true inspiration. And still sticks with me to this day. Rashad is passionate about another cause too -- local community involvement. He’s partnered with Per Diems Against Poverty to combat hunger with 100% of the proceeds supporting Feeding America and other charities that support many worthy causes. Before kicking off the BIG3 season game on June 25th, he was a presenter at the 2017 Power Of Influence Awards in June that honored John Legend, Nicki Minaj, Ice Cube and others for their philanthropic work. Rashad’s generous spirit echoes MENAJI’s commitment to giving back and helping others, and which is why we were thrilled to see him in action - inspiring others and looking confident on the court, on the street, and in his life. McCants was a standout player at North Carolina and led the university to the NCAA Championship before being selected in the first round of the 2005 NBA draft. He played for the Minnesota Timberwolves and Sacramento Kings from 2005 to 2009. He has also played professionally in the D-League, and overseas in Puerto Rico and the Dominican Republic. The BIG3 league played on June 25 with the inaugural games held at the Barclays Center in Brooklyn. Touring various locations around the country, the BIG3 will play in Los Angeles at the Staples Center on August 13th. For more info or to buy tickets, visit http://www.big3.com. MENAJI Advanced Men's Skincare, is a pioneer in men's grooming and the original category creator for HD undetectable men's makeup and skincare products for men. MENAJI was founded in 2000 and is now sold in America and overseas in more than 20 countries. For more information on MENAJI grooming products, Follow MENAJI @MenajiSkincare on Twitter and @Menaji_Skincare on Instagram (https://www.instagram.com/menaji_skincare) or Like Menaji Men’s Skincare on Facebook (https://www.facebook.com/menajiskincare), contact media@menaji.com or visit http://www.menaji.com.